We've been making this Aussie classic at Ferguson Plarre for nearly 100 years. 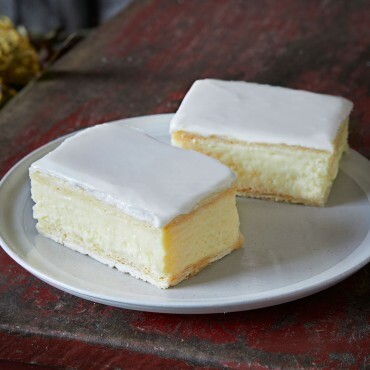 It's made with real custard (no reconstituted powders), French-method puff pastry made to a 150 layer recipe and then very simply iced on top with a soft (but not runny) vanilla fondant icing. 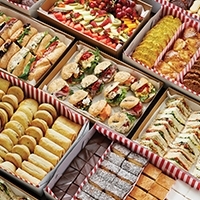 Minimum order quantity half a dozen (6). I recently purchased this from my local store and found it to be very tasty. The custard centre was perfect. Firm yet not too hard to eat. I will definitely recommend these to my friends. 10/10 for me.